There has been a new development in the ongoing saga of Laura and the Giant Pumpkin that I haven’t yet revealed. Perhaps you recall that a few weeks back I mentioned that our pumpkin seemed to have stalled. Turns out I was right. Upon further investigation we discovered that our precious pumpkin had met an untimely demise. It died and we didn’t know. We didn’t even get to say goodbye as it slowly began to rot. I know, I know… poor Pumpky. New life sprung up out of the ashes..or the vines as the case might be. Much to our surprise, a second pumpkin began to grow, and we watched while it grew in excess of the first one. This was one of the clues that there was something amiss with the first one. Sadly, Pumpky ended up in the compost heap. It was all we could do. We started again and here we are. Already bigger and better than our first. Last weekend the son used his formula to calculate the weight and told us it was around 90 lbs. It would, of course, be heavier by now. I know his urban pumpkin is bigger but, chin up, we’ll persevere. While we long ago accepted that we’re not going to end up with a thousand pound pumpkin, (Good Lord what would be do if that happened?) this has been a learning experience for us and, who knows, maybe one day…..
Hmm…I wonder how the son’s urban pumpkin is doing. Perhaps he’ll send a photo for me to share..
Next weekend is Halifax Word on the Street at the Halifax Central Library on Spring Garden Road; Sept 16th to be exact. Here’s the schedule. I’ll be reading from Cammie Takes Flight at 10:00 in the BMO Community Room. If you’re in the city that weekend and would like to visit the new library, it would be wonderful to look out and see a familiar face. I’ll also be signing at the Nimbus Publishing table, although I’m waiting for confirmation on a time. Less than a week. Time is closing in. Since the son just sent a photo of his urban pumpkin the other night, I’m going to tack it onto the end of this post. The estimated weight is 177 lbs. He says it’s three weeks ahead of where his pumpkin was last year this time. Book Launch: A Behind the Scenes Look. The other week as I was going through some book launch photos, I found a few that made me giggle just a little. Most of these were candid shots taken by the lovely Dawn Alexander my official photographer for the day. Dawn showed up the night before while were setting up for the big day and she stayed pretty close by all through launch day. Now that’s dedication! So, just for fun, I thought I’d post some of the behind the scene photos no one ever gets to see. Setting up for the launch the night before was great fun. Of course it helps to have a few silly friends to take charge. I’ll be the first to admit that decorating is not my forte. I’m more about the written word. Therefore, the decorating I leave to those more qualified. Hard at work. Recreating the book cover was a little tricky since the vision of it only existed in Bonnie’s creative mind prior to setting up. Judi made all the silhouettes. It was a pretty cool idea. Wish I could take the credit but, as I said, I’m more about the words. The end result kind of speaks for itself. I loved it. So did everyone at the launch. I warned you that I have some talented friends. They added all the extras they knew would make me happy: dark chocolate, Mars, beautiful white roses and my books. The tea pot of flowers was a Mother’s Day gift from my daughter. There’s always someone in charge of the ironing. All those little details count. Thanks Barbie. The look on my face suggests surprise, doesn’t it? You’s almost think I was expecting something to jump out of the box when, in fact, I knew there was a cake inside courtesy of the Monday Craft ladies. Seriously, they went above and beyond to make the day special. These ladies know how to show some author love. I don’t know what I’d do without the help and support from my friends and community. And here’s a much better view. Just so you know it did make it out of the box It was delicious! Launch Day: I could have told Bonnie it was a little late to be playing shy. Dodging the photographer isn’t as easy as it might seem when you get to be our age. Dawn was relentless in her mission to gets photos, but Bonnie using me as a human shield just doesn’t cut it! Oh Bonnie, oh Bonnie, when will you learn? When the Nimbus publicist, Jeff Arbeau showed up, author friend Jan Coates offered to help him sell books. I love this photo taken when our MLA Leo Glavine showed up. Now there’s the look of a woman who can hardly wait to get her hands on some money. The next photo in the series (that I decided not to post) shows Jan actually prying the money out of his hands.. Okay, I’m just kidding about that! Seriously, Jeff said Jan was a huge big help! There you have it, just a few of the candid shots from the launch of “Cammie Takes Flight.” Life is not just about the perfect moments that get capture on camera, it’s more about the moments that go unseen, but it’s all those silly, imperfect moments that create the best memories. It’s hard to believe that July is coming to a close. We’ve had some pretty warm days, lots of humidity but, I’ve got to say, I’ll still take that over an avalanche of snow any day. July scooted on by without me having written a single blog post. I didn’t mean for that to happen but…. Edits for Cammie Takes Flight are about to get underway. I found out last week that I’ll be working with Penelope Jackson again. Penelope and I worked on Flying with a Broken Wing together. She’s marvelous! Can’t express how fortunate I’ve been to have such great editors to work with at Nimbus Publishing and how very thankful I am for their expertise. Having that second set of eyes always opens my own eyes up and allows me to see things that previously weren’t there. My imagination soars. Right now, the plan is to have the edited manuscript back to Nimbus for layout by mid-September and to have the Advanced Reading Copies available for media by early winter. The book is to be released in April 2017. (I think I mentioned that in an earlier post.) I’m expecting to see a cover sometime in August or early September. I’ll share it with you as soon as I can. It’s always exciting to see a new cover, and with this being a sequel it’s even a bit more exciting. Also in July, it was brought to my attention that Flying with a Broken Wing made the Bank Street College list for Best books in 2015. I know many of you saw this on Facebook so please indulge me. The college is located in New York! Here’s a bit about the list in case you’re not familiar. One of the most comprehensive annotated book lists for children, aged infant through 16. The Committee reviews over 6,000 titles annually for accuracy and literary quality and considers their emotional impact on children. The best 600 books published each year, both fiction and nonfiction, are listed with annotations, according to age and category. I’m also working on a new project at the moment, but July’s been busy with family visiting (yes, Miss Charlotte was here for a few days!) and gardening, work etc….etc….But writers find a way to work around the everyday. We squeeze in time for writing whenever we can. There’s no way we can resist! So, there’s a bit of an update for now. I’ll keep you posted as more news come in. I hope you’re all enjoying your summer. Many of you would agree with me when I say I’ve been a bit annoying vague about it all, dodging the question as best I could, not even willing to let you know how the writing was coming along. I’m not a fast writer. Or perhaps it’s more accurate to say I’m not a writer who gets to the end as often as I’d like. I typically have several projects on the go. That was the case when I started writing the sequel to Flying with a Broken Wing. And then I started another novel. And then I went back to one I’d started right after Bitter, Sweet was published. Then I lied. Well, maybe not an out and out lie. Let’s say I withheld certain information from y’all. (Did I just say y’all?) Seriously, writing a story doesn’t necessarily mean that story will see publication. I mean what if the publisher hated it? What if it just wasn’t what they wanted? Doubt sets in. But now all that doubt is gone. I’m here to confess that the sequel has been finished for some time now. Yay! Do you forgive me for leading you astray? Hope so. I just signed a contract with Nimbus Publishing for the sequel to “Flying with a Broken Wing.” Yup…signed …sealed and delivered. And I’ve been dying to tell y’all. 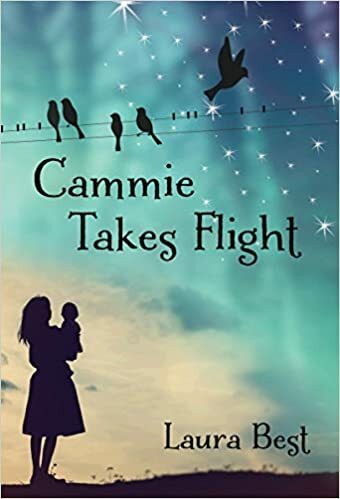 For now, the title of the book is “Cammie Takes Flight,” but as I’ve explained before this could end up being changed. I’ll be sure to let you know if that happens. So, do you think I’m excited at all? You betcha. I can hardly wait! Speaking of waiting, I assume y’alls next question will when when’s it going to be published? Well, my sources are saying Spring 2017. That’s just around the corner in the book publishing industry. So, there you have it. The answer to the question you’ve been asking me for years now. And well, me, I’m just walking around with my head in the clouds. And if all that isn’t enough Darlene Foster , author of the Amanda Series, posted a lovely review of Flying With a Broken Wing posted on the Children Writer’s Guild. You can read it here. Again, thank you Darlene for your generosity! Comparing your first born to your second child is sometimes a bit difficult not to do. When that second little one comes along we start right away by comparing their sleeping patterns. At least I know I did. Often times your first-born is more advanced when it comes to language because they have more of your undivided attention. But that doesn’t mean your second child is any less special. All children bring their own special gifts to the planet. It is what makes all of us unique. The fact that we sometimes compare the development of our children doesn’t make it right, but it doesn’t make it any less so. I know, what does this have to do with my upcoming book? Nothing. Well, maybe something. Maybe just the fact that it’s difficult not to compare my first book to this next one, and even the whole process of publishing. For instance, Bitter, Sweet was relatively short even though, during the editing process, 5,000 words were added to the story. My upcoming book is a tad too long which means I have to make cuts this time. When my editor told me I had to add 5,000 words to Bitter, Sweet I cringed. I thought it was nearly impossible. However, editors don’t get to be editors by not knowing their stuff. Caitlin made suggestions as to where scenes could be added and slowly but surely the word count came up to where it needed to be. It wasn’t nearly as bad as I’d originally thought. But cuts feel like, I don’t know, like an amputation of sorts. I’m mulling the idea of getting rid of a few very minor characters as well as a few small scenes. Writers often refer to it as “Killing off your darlings.” Might sound a bit extreme, but this late in the game it does feel extreme. I blame myself for being too wordy during the first edits. (I had an inkling this might be the case.) But laying blame doesn’t change what is. I still need to decide what can go and what can stay. Luckily, I’m not talking about 5,000 words this time, but still…. Work on the fall Nimbus catalogue is about to start. That means I’ll soon have a cover for my book. Contrary to what many people think, I’m not responsible for coming up with a cover, and thank goodness for that! You really wouldn’t want to see what I’d come up with. This doesn’t mean I won’t have any input. Once they come up with a cover, it’ll be sent my way for approval. If I hate it they’ll keep working at it. The day Caitlin sent me the cover for Bitter, Sweet I was afraid to open the file, wondering what I’d do if I absolutely hated it. Luckily, that wasn’t a problem. I loved it right away. I can’t imagine it being any different. The title of “Bitter, Sweet,” was originally, “Bittersweet.” I remember when the comma was suggested. I immediately thought it looked weird. 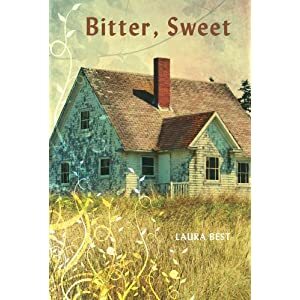 The concern with the title was there were so many other books on the market with bittersweet in them, and they wanted this one to stand out. They also thought the comma gave the book a more literary feel. The comma certainly seemed to do that. I mulled the idea over for a few days and then decided that the compromise didn’t feel that horrible, and really wasn’t all that different from the original. Of course, now I couldn’t imagine the title without a comma. So what about the title of this book? During discussions with my editor, we’ve decided to make a slight adjustment to the title. 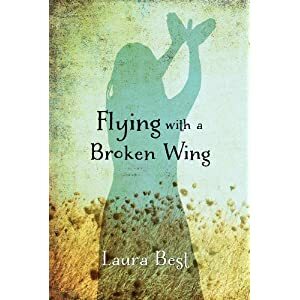 Instead of “To Fly With a Broken Wing,” We’ve decided to change it to “Flying With a Broken Wing.” Just a small change, but I’d originally titled it, “Fly With a Broken Wing,” until it was pointed out that images of “a fly” were difficult to get past. Hadn’t thought of that when I originally titled it. Now it makes me giggle. So yes, the book is making progress. We’re working toward publication. I know it feels really slow, and a lot of people have been telling me they’re getting anxious. I’m sure you can appreciate how I feel being the author and all. But patience is something all writers learn. In fact, it’s a must. As soon as I have a cover I’ll post. So I’m off now to start making some cuts. Wish me luck!